Ireland were crowned Six Nations champions on Saturday as England followed up their defeat to Scotland by losing 22-16 to France in Paris. England - the winners of the tournament in 2016 and 2017 - knew they needed to win and score four tries after Ireland achieved that feat in a 28-8 triumph over Scotland earlier in the day. However, Eddie Jones' men could not even claim victory at the Stade de France as the hosts ran out winners in a scrappy contest high on physicality but low on quality. 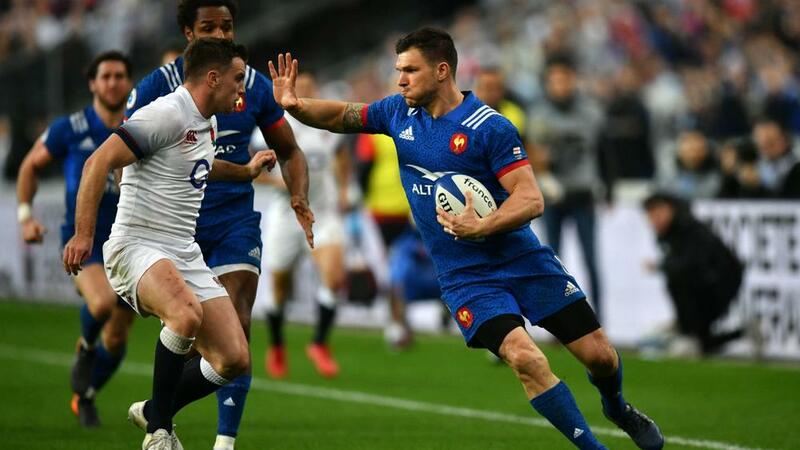 A second-half penalty try, awarded when Anthony Watson was penalised for a high tackle on Benjamin Fall and yellow-carded, gave France the edge after a dire first 40 had ended with the score level at 9-9. Maxime Machenaud duly added his fourth penalty and Jonny May's try came too late in the piece for England, with Ireland now holding an unassailable lead in the table. Ireland will seek to complete a Grand Slam at Twickenham next weekend, but a wounded England will not be short of motivation having been denied a clean sweep of their own in Dublin in similar circumstances 12 months ago. England's hopes of keeping the battle for the championship alive were effectively ended when they failed to score a try in a stop-start first half. The visitors had more possession and territory early on, but rarely threatened to breach the French line and also suffered the setback of losing Nathan Hughes to injury after 24 minutes, Sam Simmonds taking his place. A tally of 13 penalties prior to the interval summed up a largely turgid opening period, as Machenaud cancelled out two three-pointers from Owen Farrell and Elliot Daly's long-distance effort. England were stronger at the set-piece but ill-disciplined at the breakdown in the first 40 and that remained the case early in the second half. Things then got worse for England when France were awarded a penalty try and Watson was yellow-carded for a high tackle that prevented Fall from a certain score in the left corner. Although the infraction appeared accidental, with Fall diving low for the line, referee Jaco Peyper appeared to have little option but to sin-bin the England full-back. If France were disappointed not to add to their lead with their opponents down to 14, they soon shrugged off that disappointment, Machenaud slotting his fourth penalty after their rivals had once again transgressed. Daly laid on a try for fellow wing May with six minutes remaining, but it was too little, too late for England, whose day was summed up by the concession of yet another penalty late on, kicked by replacement Lionel Beauxis.